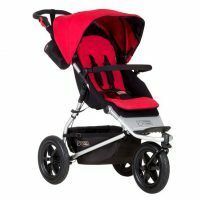 In this Pram comparison, you can find out what the Tell Me Baby community thinks are the top Prams and Best Strollers on the market. Click on the Product Name to read more reviews and product details. 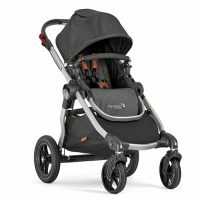 UPPAbaby Uppababy Alta $899 4.8 12 "I really love my uppababy! It is so easy to fold, lightweight which means you can easily get it in and out of the car. It folds up relatively small so you still get boot space too! I love that the basket underneath is a decent size and you can easily fit a fee bags of shopping underneath or the nappy bag. 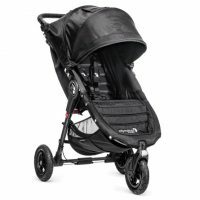 Highly recommend"
UPPAbaby UPPAbaby Vista Stroller $1,899 4.7 24 "Bought this pram after a recommendation from my sister and its worth every penny. Large basket, large adjustable seat (for my tall 1 yr old) and easy to fold. It is great for my husband who is also taller with adjustable handle. Also bought the upper baby cup holder and love that too. Highly recommended and will last for more kids." Mountain Buggy Mountain Buggy Nano $399 4.7 23 "We bought this pram for an overseas trip as we didn't want to lug around our main pram (or risk is being damaged). The nano is super convenient for plane travel as it's so lightweight and compact. 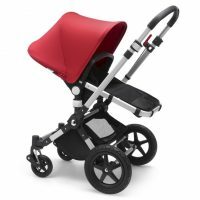 It folds down very easily and still handles well also easy to get bubs in and out of this pram. There's a good recline so bubs can go to sleep and the sunshade provides a good cover. We liked it so much we now keep it in the boot of my husbands car for quick trips out." Maclaren Maclaren Triumph $399.99 4.7 12 "We bought this mainly for our 2 month trip back to the UK. Great value for money! It looks nice, was very comfortable for our daughter too. So easy to fold up and set back up and also to fit in any car. We brought it back to Australia with us and it has come in very handy as a second pram or for those quicker trips to he shops alone those trips where we don’t want to risk damaging or getting the bugaboo pram dirty. Would definitely recommend buying!" 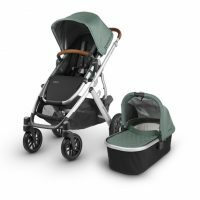 Mountain Buggy Mountain Buggy Urban Jungle $799 4.7 11 "After researching like crazy before baby one, we finally decided on this one. I am a city-shop-cafe-stroller. I am a walker. And a lot of the time it is off road walking. This was the perfect choice for me. Versatile. Not overly 'look at me' But still stylish." To use for a newborn you really need the bassinet or capsule attachement which is extra cost definitely worth it. I bought this pram for the size and the good wheels as I do a lot of walking." 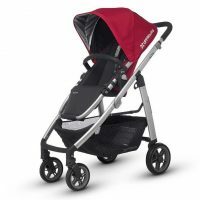 Baby Jogger Baby Jogger City Select $899 - $999 4.5 52 "I bought my Cityselect second hand so it was 4 years old and had already weathered two babies. Its gone through another two with me and I have loved it every minute. It is super easy to get in and out of the car, there's lots of different ways to have your one or two children in it. When I had my second child I was amazed I could fit the bassinet and the stroller attachments on. The fabric is hardwearing and still looks new! Whenever I assemble my cityselect pram in twenty seconds all my other mum friends are so jealous!" 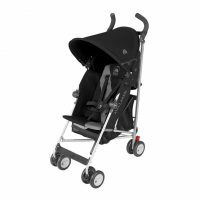 Goodbaby Goodbaby Pockit Stroller $399.99 4.5 10 "We love to travel and this stroller is the ultimate solution. It folds so compact and so quickly that it makes using it so efficient. It's also extremely light and takes up next to no room in the luggage. We fly with two suitcases for the three of us because it makes navigating the airport so much easier. The less baggage the better. At first it feels flimsy but it's surprisingly sturdy and easy to manoevour. It could do with a slightly bigger sun shade and the safety harness is a bit tricky but it's a comfy compact stroller. We've made do without our full size one since we got it. Worth the investment!" 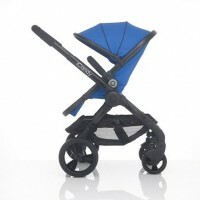 Bugaboo Bugaboo Cameleon3 plus $1,399 4.4 39 "My son is nearly 2 years old and we are still loving the Bugaboo Cameleon. Fits into my boot space of a Mazda 3 easily. Have recommended this pram to all my soon to be mummy friends!" iCandy iCandy Peach 3 $1,599 4.4 11 "This is the rolls royce of prams and is so easy to use. I bought my pram second hand because i couldn't afford it new but have not regretted it even with three years use prior to me. Any way you want to face, perfect for twins, single or double, 3 positions and capsule compatible." Choosing the best pram for you and your new baby can be fun and exciting, or overwhelming and confusing – or all of the above. There are SO MANY OPTIONS out there, so no wonder choosing the best pram for your family can be a bit of a daunting task. It can also be pretty expensive mistake if you don’t get the right pram to meet your needs. Most parents learn pretty quickly that there is no one solution fits all for any aspect of parenting. You have to make choices based on what’s best for you and your family. And choosing a pram is no exception. So don’t worry about the right pram for your sister, or a friend, or the shop assistant, or what anyone else is telling you what you do or don’t need in a pram. You need to get the pram that ticks YOUR boxes, not anyone else’s. But that can be really hard when you don’t know what boxes you want ticked. Who is going to be using the pram? One thing to think about is the handlebar height. If you and your partner are quite different in height you may need to look at an adjustable handlebar. Also the weight of the pram is an important factor, especially if you’re planning to lift it in and out of your boot regularly. So make sure you’re able to lift the weight of your pram. Either the whole pram, or with the frame and seat separately. Another thing to check is that you’re able to operate the essential functions of your pram. For example check that you can easily work the brakes, the seat recline and the fold. When are you going to be using the pram? If you’re going to be using the pram from birth then you need to make sure the seat is suitable for a newborn. You may need buy a bassinet/carrycot separately. Although some prams simply don’t have the option to be suitable from birth which is something you’ll need to take into consideration. Alternatively if you’re buying your pram for an older child, or planning to use the pram for a few years, then you need to check that the weight limit and seat size can accommodate a larger child. Where are you planning to use the pram? Are you just going to be using your pram on smooth surfaces like footpaths, shopping centres, on public transport, or when travelling? So you need to find a pram that is compact and maneuverable. Or do you need an all terrain beast, with big wheels and tough suspension, that provides your baby with full sun and weather protection, so it will take you anywhere you need to go? Do you maybe want a pram with a seat that’s the perfect height to be parked at a table in a cafe? Think about your life, where you go, what you do, and so you’ll get a bit of an idea about what you need your pram to do for you. What else is important to you? There are some features that might be really important to you might still make or break a pram purchase. For example being able to have your baby face you might be the one feature you want more than anything else. Or having the option of turning your pram into a travel system with an infant car seat. It could be the option of a second seat later. There are so many prams these days that can convert easily from a single to a double. 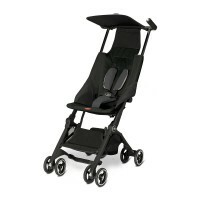 For example the Strider Compact, Uppababy Vista, Baby Jogger City Select, Bugaboo Donkey. 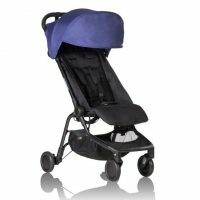 There are also little features like a one handed recline, a big basket, extra storage pockets, interesting colour and fabric choices, adjustable footrest, peekaboo window on the hood. It’s worth getting into a baby story and having a play with some prams to find the little things that might be a big deal to you! How much are you able to spend? You really can spend as little or as much as you want a pram. You can get an inexpensive second hand pram of Ebay, Gumtree or Facebook Marketplace for under $50. You can also easily spend thousands of dollars on the latest, high end, luxury pram. However keep in mind a good quality, mid-range pram, will cost around $400-700. Check out the pram reviews to read real, genuine reviews from mums who have tried and tested each of these products. Then use this information to make an informed decision when you are buying your own pram. 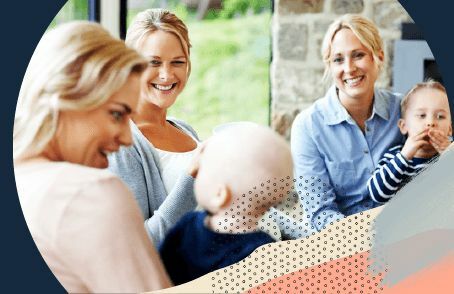 Find out why Tell Me Baby is creating so much talk amongst parents. And as a member, you’ll earn Kmart, Coles & Target vouchers just for being active on the site.